November 2 – Orange has reaffirmed its commitment to African football with plans to take the mobile platform Football Fan Club to a number of new countries. 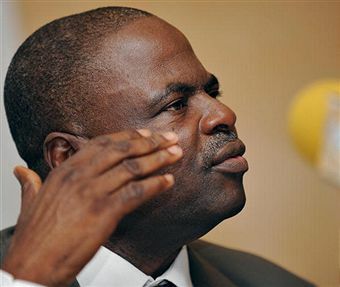 October 4 – Nigeria’s Amos Adamu, kicked out of FIFA for allegedly selling his World Cup vote, takes his case to the Court of Arbitration for Sport (CAS) today in a final attempt to overturn his three-year ban. 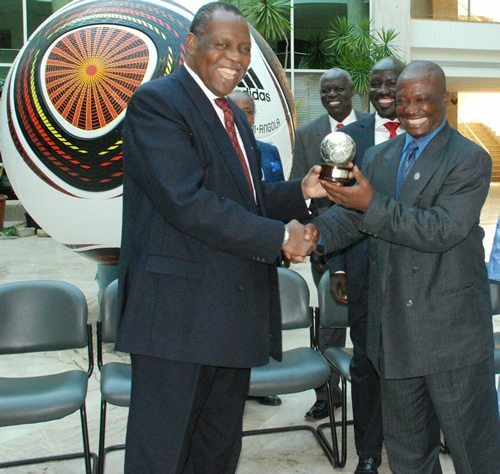 September 28 – Confederation of African Football (CAF) President Issa Hayatou (pictured left) has welcomed a delegation from South Sudan to his office in Cairo, as the two-month-old state looks to receive admission into the FIFA family. 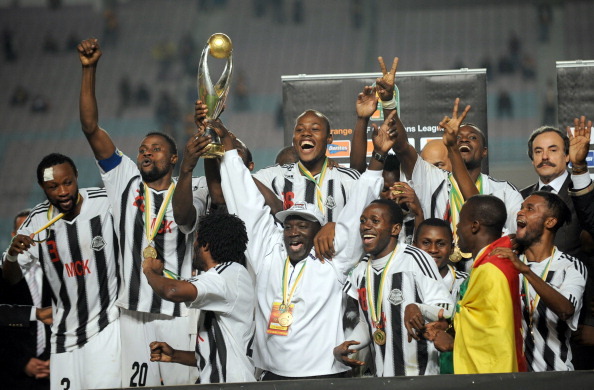 September 26 – The winner of this season’s Confederation of African Football Orange Champions League will take home $1.4 million (£900,000/€1 million), with the Confederations Cup champions taking just under half that figure. 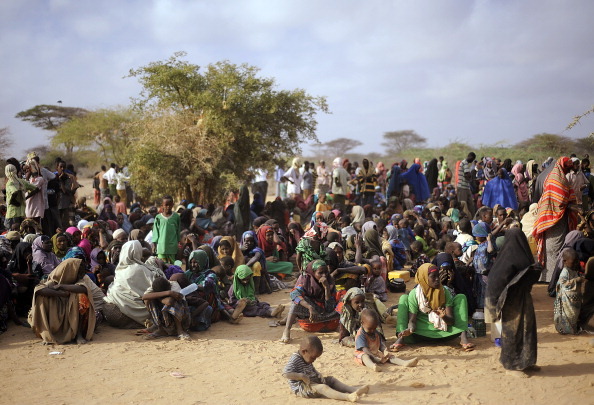 September 25 – The South African Football Association (SAFA) has announced the creation of a fund to help victims of famine in Somalia. 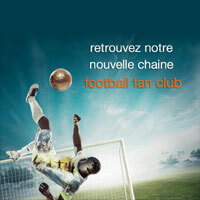 September 20 – Confederation of African Football (CAF) President Issa Hayatou has signed a contract with Italian company B4, who are closely associated with French organisations Lagardère Sport and Sportfive, for the sale of centralised television and marketing rights to the African World Cup qualifiers. 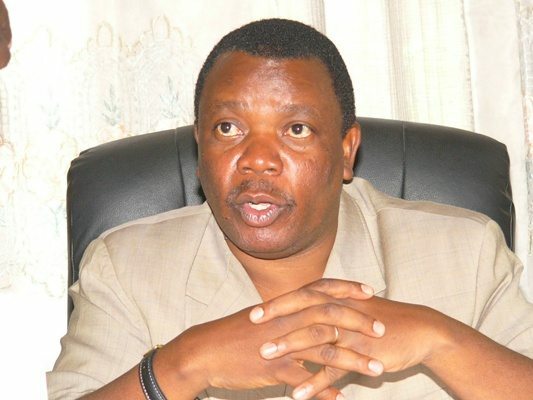 September 7 – Zanzibar and South Sudan have applied to join FIFA, with the Council of East and Central Africa’s Football Association (CECAFA) helping to fast track their applications. 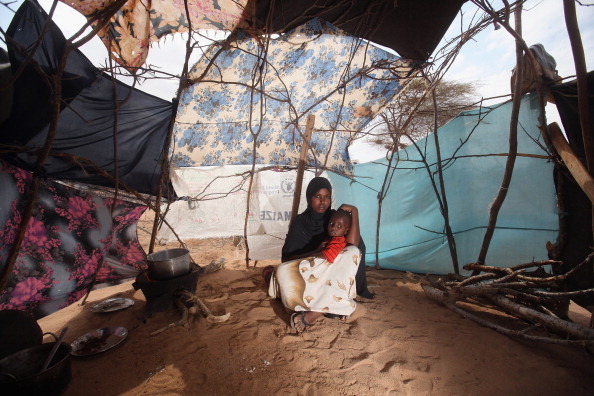 August 11 – FIFA has donated $1 million (£616,523/€700,918) to those affected by the crisis in Somalia, brought on by the drought which has struck East Africa in recent months. 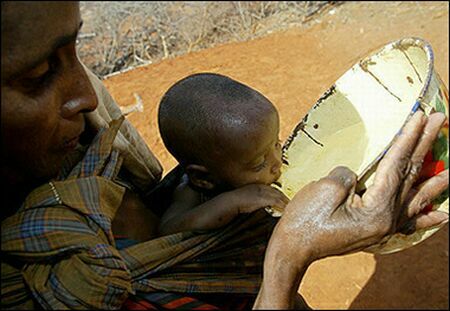 August 4 – Issa Hayatou, President of the African Football Confederation (CAF), has urged football authorities across the continent to organise charity games in aid of the victims of the famine plaguing the Horn of Africa. 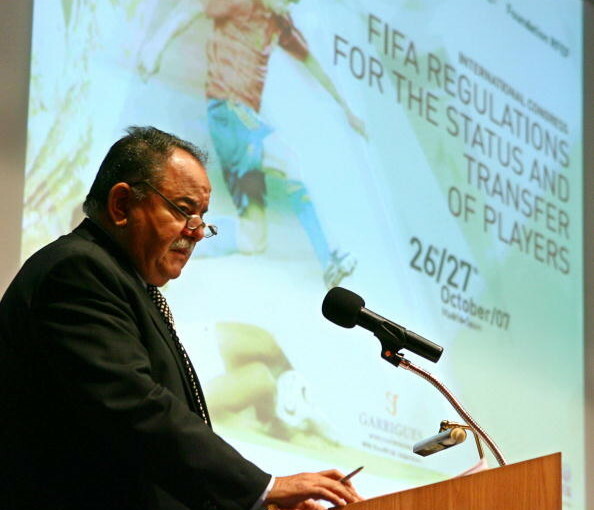 July 19 – World football’s governing body has been plunged into yet more infamy with the revelation that two suspended African powerbrokers are still involved in the game despite being barred from all footballing activities. 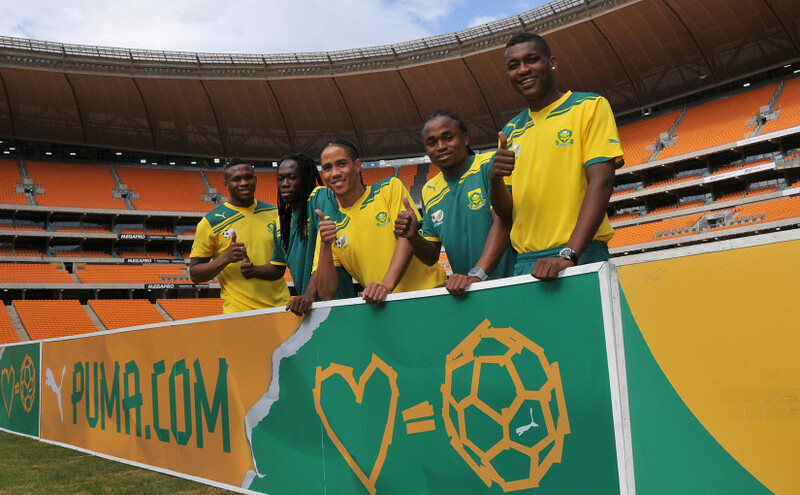 June 8 – Puma has replaced adidas as the official technical supplier for the South African Football Association (SAFA), signing a kit deal that will last beyond the next two FIFA World Cups. 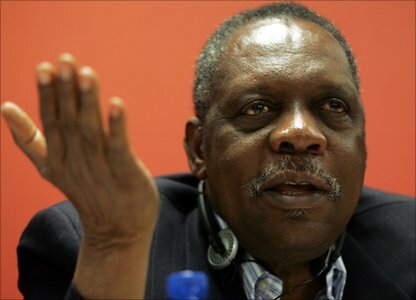 May 11 – African football chief Issa Hayatou today became the latest FIFA powerbroker to deny corruption allegations made against him by a British Parliamentary Committee. 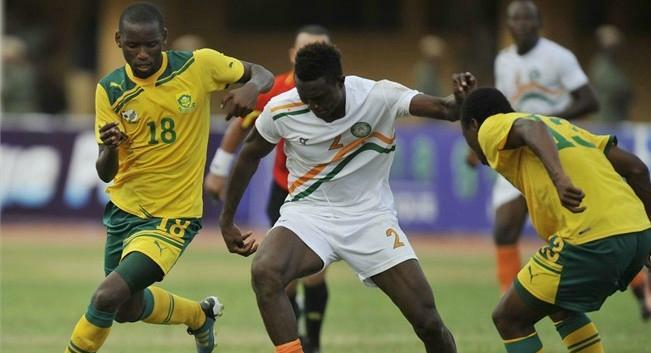 May 10 – The Football Association (FA) may cut funding to three African nations after a board meeting set for next week, which is to decide the budget and strategy for international development. 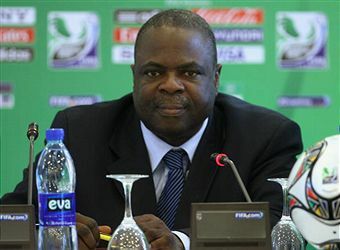 May 5 – Amos Adamu, the Nigerian football powerbroker suspended by FIFA for alleged involvement in bribery and corruption, is taking his case to the sport’s highest court to overturn his three-year ban. April 20 – The African Football Confederation (CAF) has fined Egyptian outfit Zamalek following a pitch invasion after a game in the African Champions League last month.